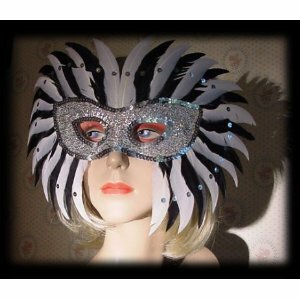 Get in the zone of black and white with this Starlight Mardi Gras Feather Mask. Each feather is decorate with a sequin of its own color. This silver mask is outlined with silver sequins.